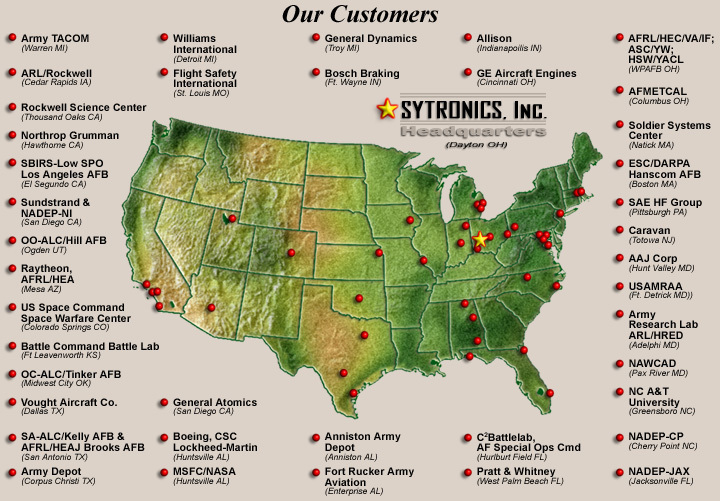 SYTRONICS' Test Systems Division is a leading provider of high reliability Automated Test Equipment (ATE) solutions to the turbine test cell, component test stand, and field test equipment markets. We can turn your old "maintenance nightmare" test cell into a very reliable showcase class system. When we're finished, your test system will work great, enhancing your efficiency, and will look good--something you proudly show potential clients. We can and will do everything required to complete your facility upgrade--light demolition, site cleaning and prep; all engineering--including custom data acquisition and control, mechanical systems, and software; installation, calibration, checkout, correlation, training, and complete as-installed documentation. Our success in this business is easy to explain--we combine state-of-the-art hardware from a carefully selected list of quality component vendors; our own internally-developed, full-featured, proven software packages; and some of the hardest working, world-class, engineering talent you'll ever meet. You can rest assured that we know what we are doing--over twenty years of experience upgrading and enhancing turbine test facilities proves it. The bottom line is that we provide high performance, tailored, low-risk turbine test cell and component test stand upgrades on schedule and for a very reasonable price. 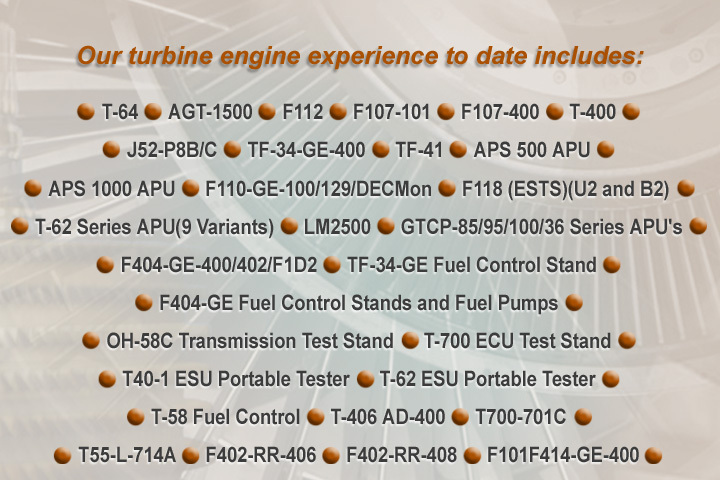 The primary purpose of the ProTECS application is to guide an operator through a series of predefined tests designed to verify the operations of turbine engines and their components. 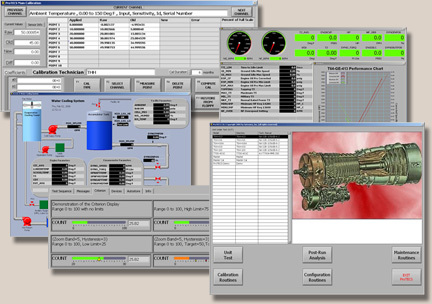 The software interfaces with test system component equipment to collect and distribute channel data such as temperatures, pressures, speeds, and flows. 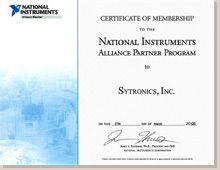 Collectively, these data determine the operational performance of the item being tested. The software provides the capability to consolidate these data, present them to the operator in several formats, and automatically compare them against adjustable limits for error annunciation or for the performance of automated error control sequences. The software also records snapshots of the channel data onto the system hard drive; and the channel data are used to generate specialized printed reports concerning the completed tests. 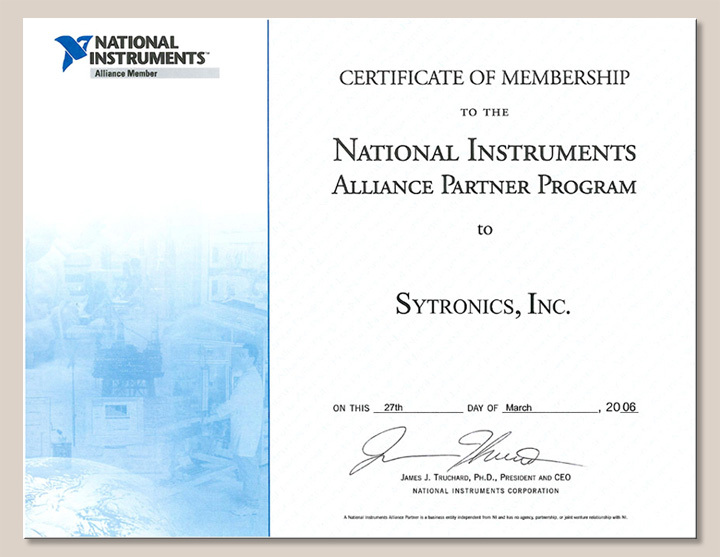 To support the primary purpose of testing, the ProTECS application also includes programs to calibrate and maintain the test system component equipment. Additional software modules are provided to examine and modify the system configuration files for customizations and future enhancements.